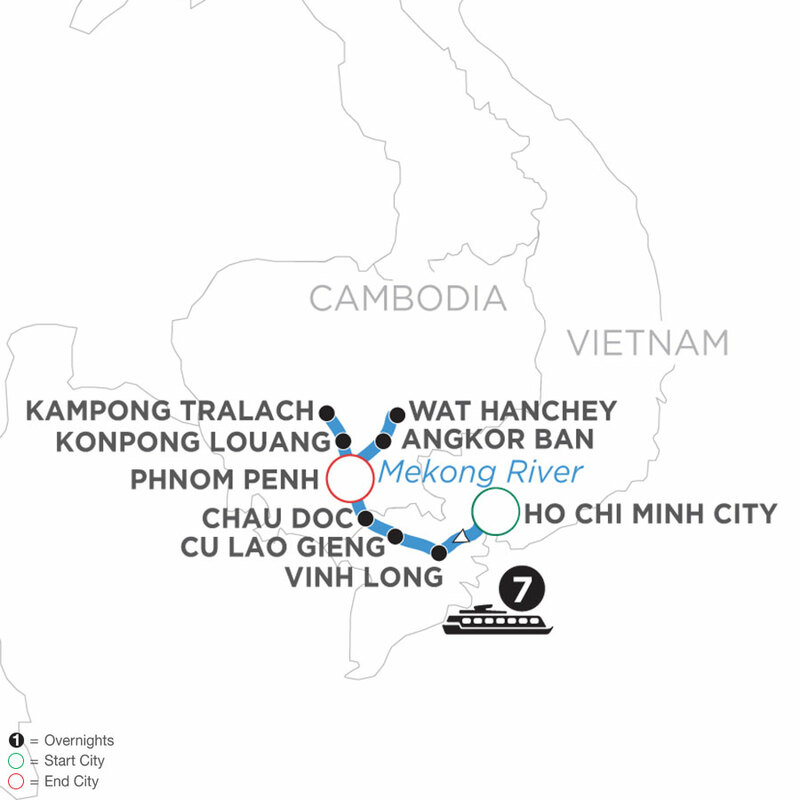 Continue your river cruise into Vietnam where you’ll walk through a colorful market as the locals are busy with their daily routine of buying and selling produce. See firsthand how handcrafted sampans are built at the home of a family in Cu Lao Gieng. Via sampan, cruise into Vinh Long and experience Vietnamese culture with a visit to a workshop to learn how rice wine and traditional candies are made. 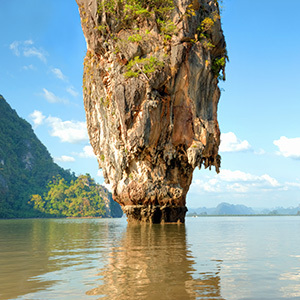 This once-in-a-lifetime Southeast Asia river cruise vacation is sure to create lasting memories! Avalon makes it easy to experience vacation your way with seamless extension options before and after your cruise. 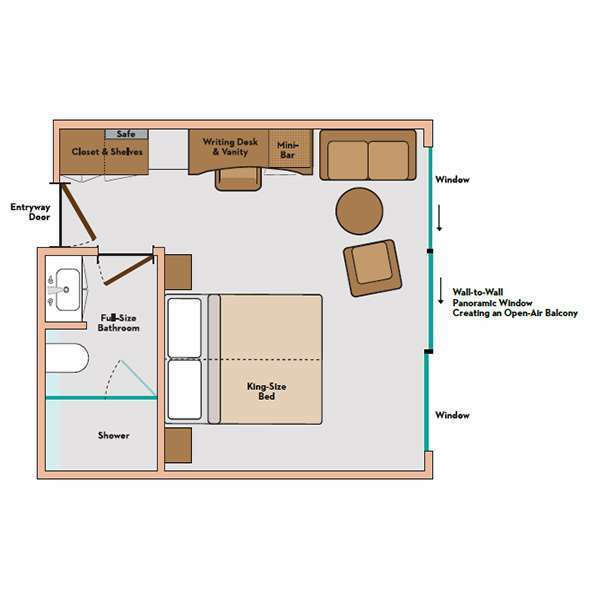 Your Way offers added nights in a selection of locales. From Budapest to Barcelona, you can spend a little or a lot more time getting to know more on shore with Your Way custom itineraries. Welcome to Cambodia. Your intimate Suite Ship® Awaits! Get acquainted with the ship and relax before your welcome reception this evening. Visit Wat Hanchey, a hilltop temple dating back to the 8th century. Climb or be driven to the top where you will enjoy stunning views of the surrounding area and partake in a traditional water blessing given by local monks. After lunch, enjoy a Walking Tour through the rural village of Angkor Ban. Here, you will visit a traditional Khmer house and interact with children at a local school. Your Guided Sightseeing starts in Kampong Tralach with an Ox-Cart Ride through the beautiful Cambodian countryside. Along the way, stop to meet a local farmer and learn about his daily life. At the silversmith village in Konpong Louang see talented craftsmen use age-old techniques to turn pure silver into works of art. Visit the lively Central Market by tuk-tuk to see its unique Art Deco design. This evening, spend some free time to explore the city on your own. Perhaps follow the riverfront promenade to the historic Foreign Correspondents Club (FCC). 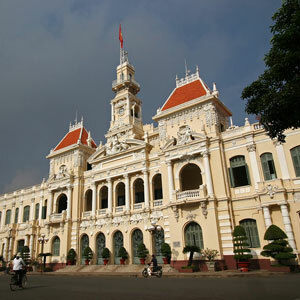 Join a Guided Tour of the city by private cyclo with visits to the Royal Palace with the spectacular Silver Pagoda, and the National Museum, featuring an outstanding display of Khmer artifacts. The remainder of the day is yours to enjoy at your leisure, Consider a Guided Optional Tour of a local brewery with free flowing local beer! Take a Village Walk through the Chau Doc market, and absorb the atmosphere as locals are busy buying and selling fish, meat, and produce. 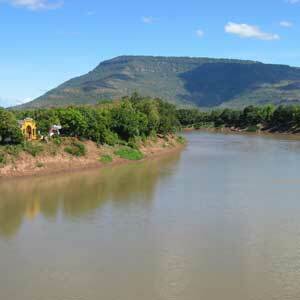 After lunch, embark on a Guided Excursion down the backwaters of the Mekong. Along the way, see traditional floating homes, speedboat merchants, religious sites, a market selling dried goods, and more. This morning, a sampan brings you to the village of Long Khanh A, for a Cotton-Weaving Demonstration of this well-preserved tradition. This afternoon, enjoy scenes of daily life on Cu Lao Gieng Island via sampan and local motor cart. 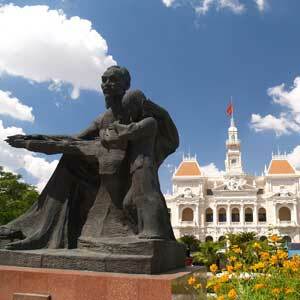 Your Guided Excursion starts with a stop at one of Vietnam’s oldest Catholic churches. Then, visit the home of a local family that makes Vietnamese conical hats, or “Non la,” from materials available to them such as palm leaves and bamboo. These iconic hats are primarily used as protection from the sun and rain but you may also see them used as a basket to carry home goods from the market. Lastly, visit a local workshop where a skilled family hand-crafts sampan boats. Board a sampan this morning to Visit a Local Workshop in Vinh Long where you will see how rice paper, rice wine, and traditional candies are made. Start your vacation earlier or stay longer with destination options before or after your Avalon cruise. 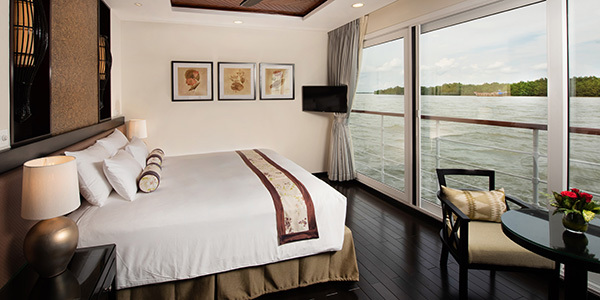 The all-suite Avalon Siem Reap, one of our incredible new Suite Ships®, was specifically designed to offer the best river cruise experience on the Mekong River. 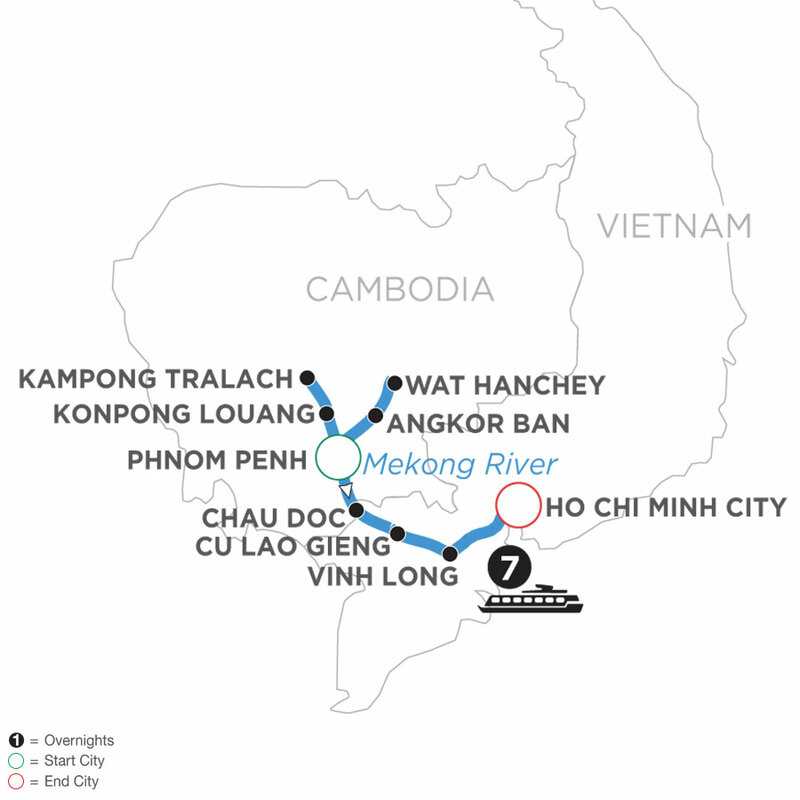 She is the only ship in the industry cruising from Ho Chi Minh City to Phnom Penh (or vice versa) eliminating hours of motorcoach travel time, which means you enjoy more cruising along the Mekong River! 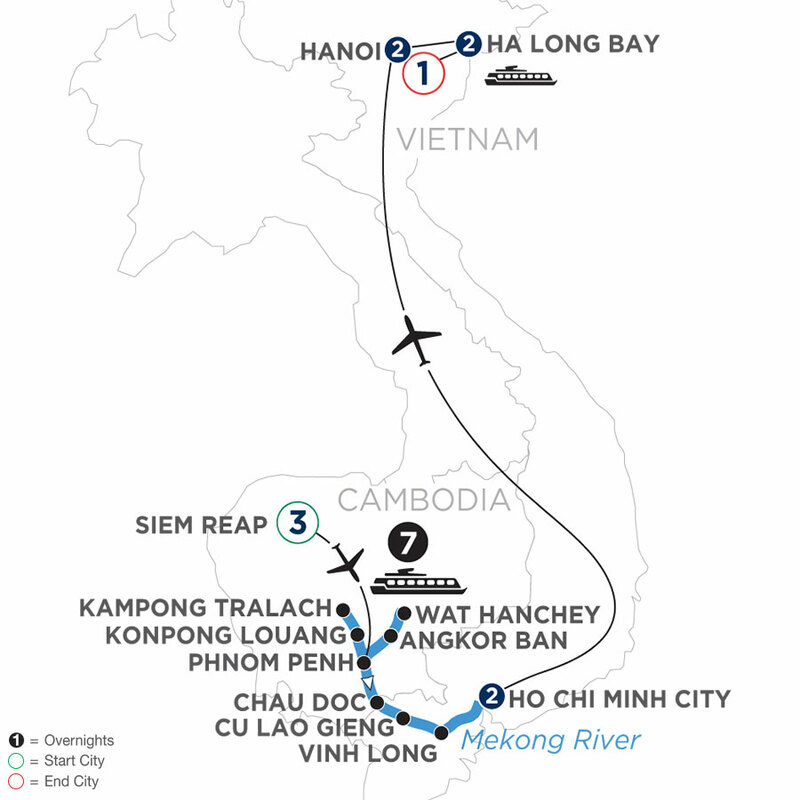 The all-suite Avalon SaigonSM, our newest Suite Ship® in Asia, was specifically designed to offer the best cruise experience on the Mekong River. 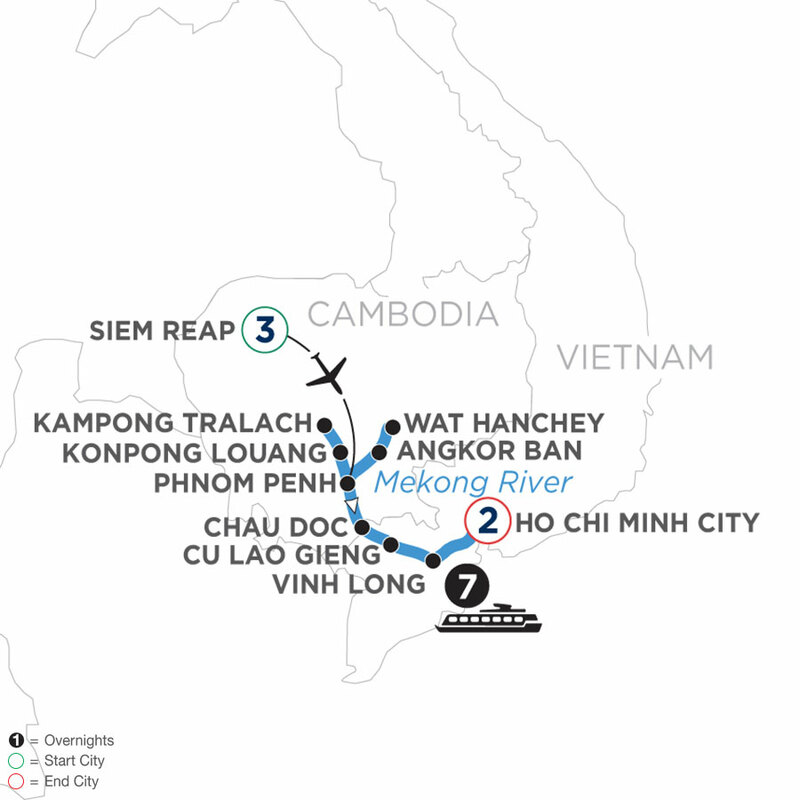 She is one of only two ships in the industry, along with her sister ship the Avalon Siem ReapSM, cruising from Ho Chi Minh City to Phnom Penh (or vice versa) eliminating hours of motorcoach travel time, which means you enjoy more cruising! 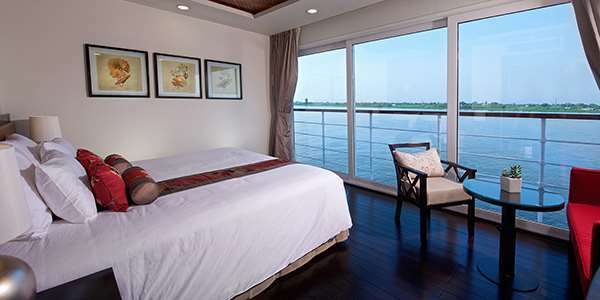 The ship has been meticulously crafted to offer all the modern features you expect, yet it retains the colonial charm fitting to Vietnam and Cambodia. 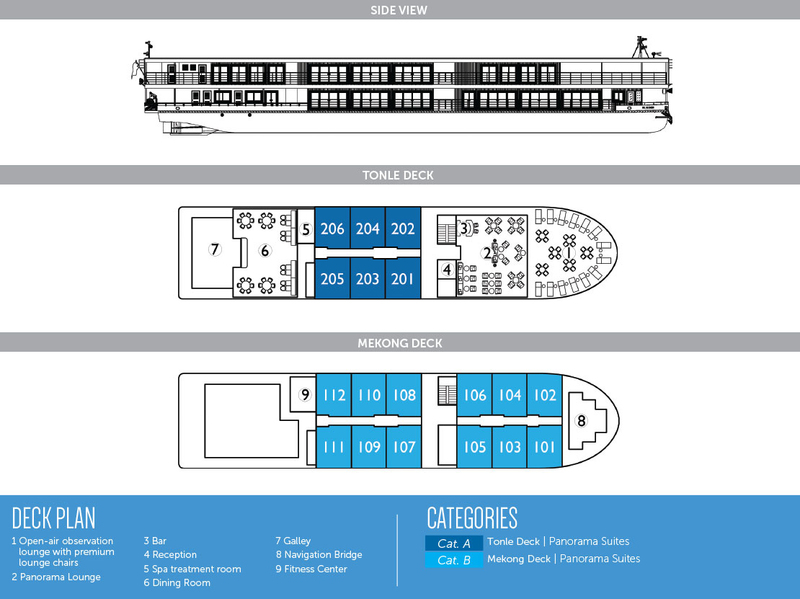 While the number of guests on the ship may be small, the ship is not. Built as long and wide as other ships that carry twice as many guests, the public spaces never feel congested. From the air-conditioned Panorama Lounge to the open-air observation lounge, there is plenty of seating and spots to relax. Plus, our lounges are located at the front of the ship, not the back, so no matter where you sit you will always have a great view. Our crew embodies the spirit of you first, no matter what. From the reception staff and bartender to wait staff and room attendant, we always deliver exquisite service that's comfortable and friendly, never stuffy! With Avalon, our ship becomes your home away from home. Take a guided tour through the brewery and sample several different beers in the tasting room!